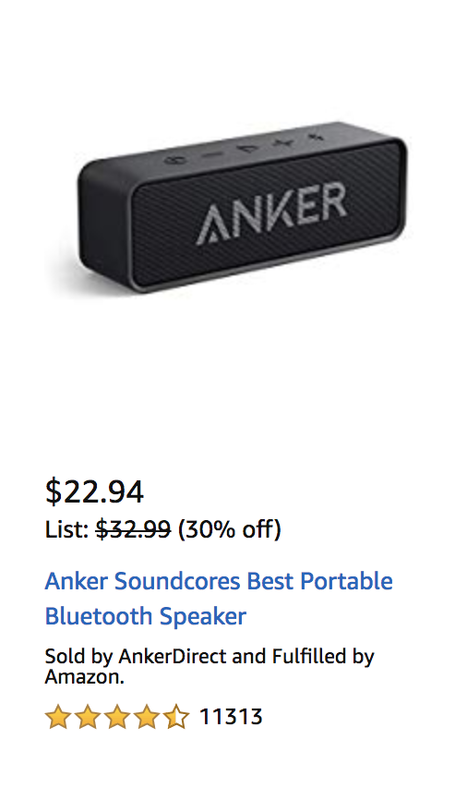 Amazon US BT Speaker and PowerCore 1300 deals today! 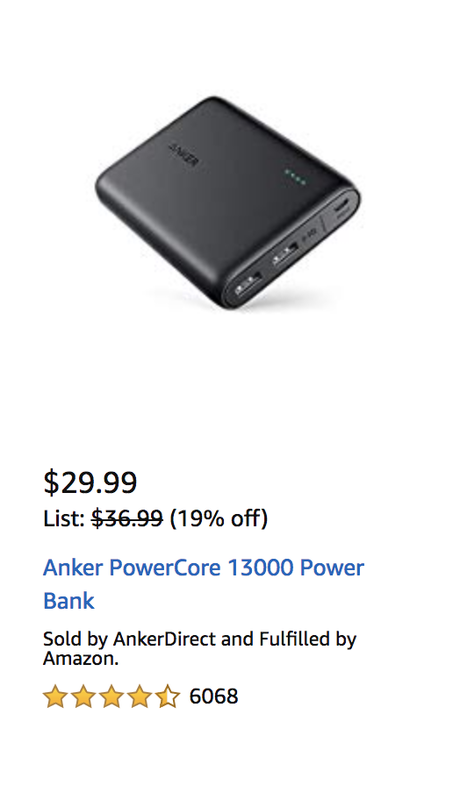 Good deals on these products. I think we're getting to the lowest prices we'll see on these before the stock sells out! Powercore 13000 so suits a 15000 mah upgrade. Move from 4 3400mAh 18650 to 3 5000mA 21700 to move from 13000mAh to 15000mAh. Cell volume would decrease by 2 cuin or roughly half the size. Given the redux and the Fusion 10000 with 2 cells can do 15W we could be looking at 18W for 3 cells so either IQ2 or 18W mode of Power Delivery. 3 cells wide probably can fit 2 ports so a USB 2 and a USB-C port. I would make it have 3 ports total of a microUSB input to recharge off 2A 5V 10W, and recharge of USB-PD for those with a PD charger, and a USB2 ouput for non-USBC devices. It would then solve all possible problems which need 15Ah. It is a no brainer. Come on Anker! 13Ah is my upper daily need for stored energy so this would not need a "Fusion" version as I'd recharge it overnight. Extrapolate from 4.5hr recharge for 2 cells is 7 hours so overnight so less time than the Powercore 10000 so that's good enough for me. I'd pair with with a Powerport 2 "Atom" and recharge it through the PD port as its input recharge.